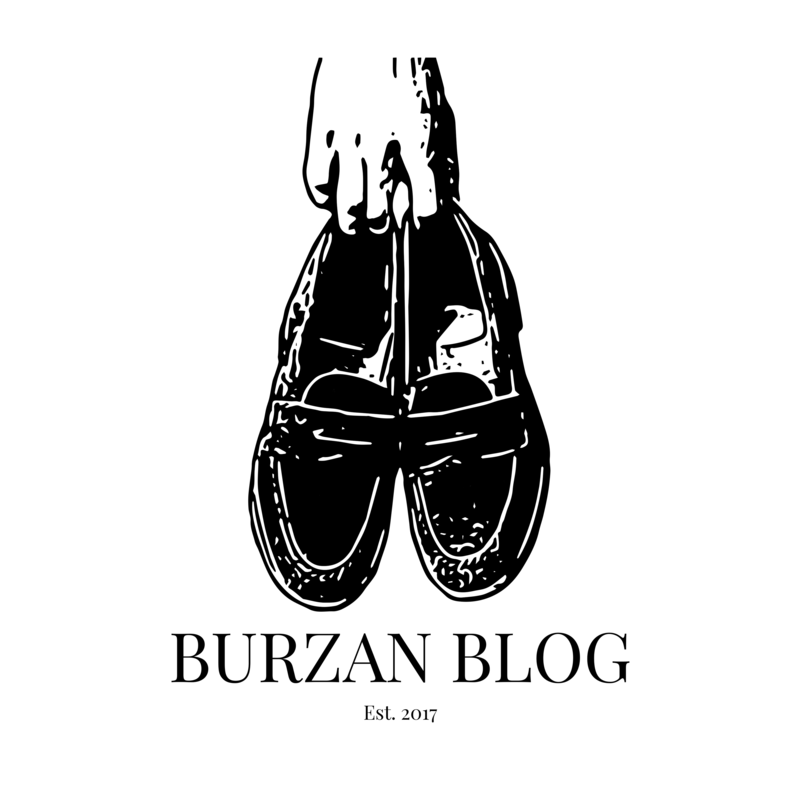 First off, I am happy to be back writing for the blog. My intention has always been to keep you guys updated with lots of reviews and new content; however, my personal life has been rather busy the past few months so sitting down to write for the blog has taken a bit of a back seat. 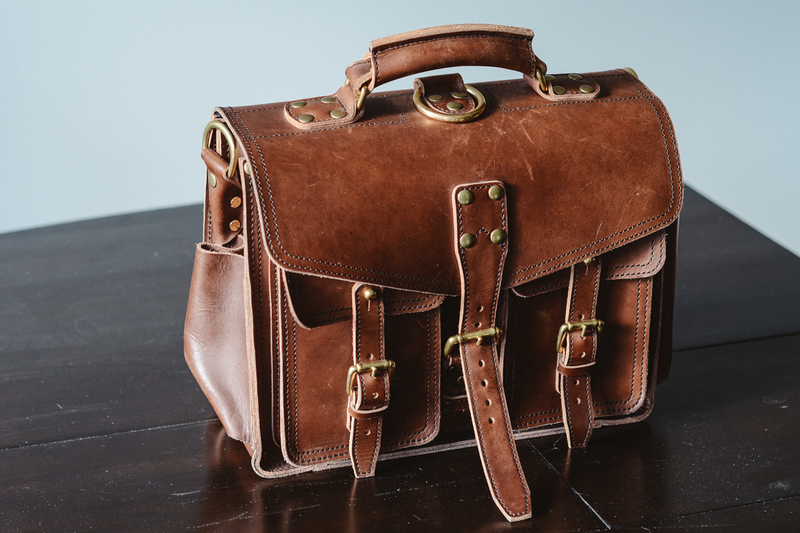 Today I wanted to share with you my review of the Marlondo Leather Wing Briefcase. 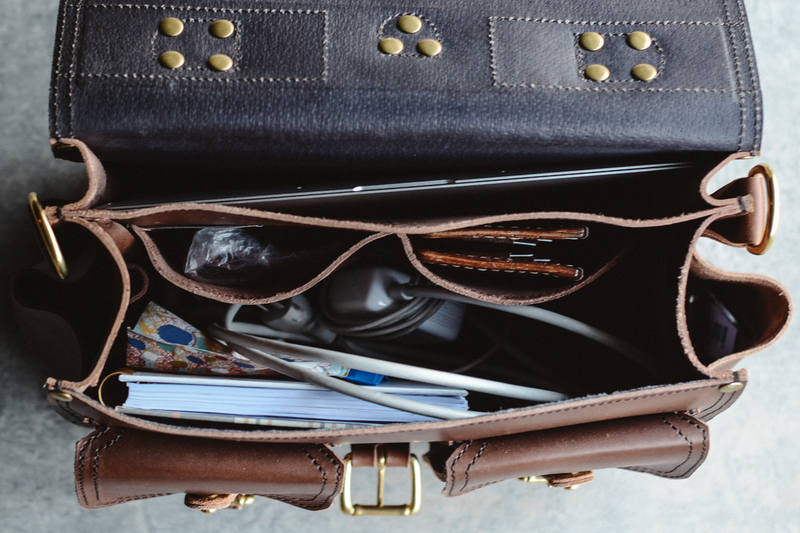 I have had six months to use this bag and was looking forward to sharing my thoughts on it. 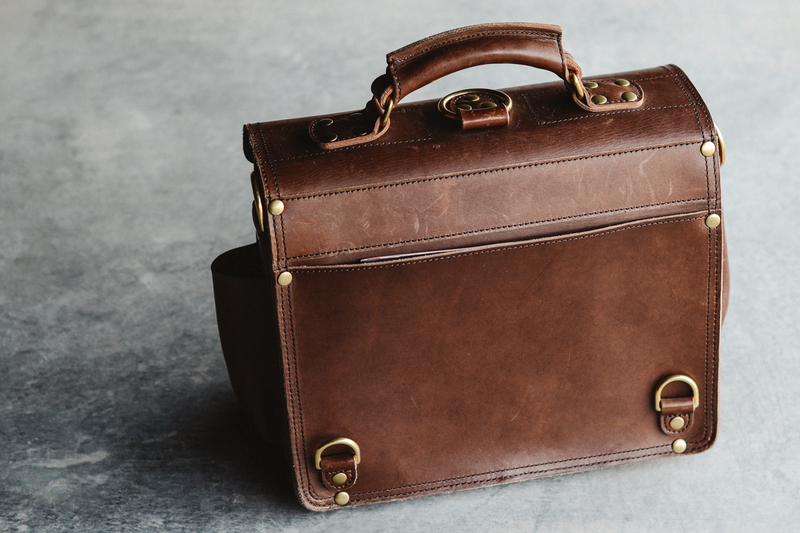 Disclosure: Tim from Marlondo Leather was kind enough to provide me the Wing Briefcase free of charge in exchange for my honest feedback. Opening the package when it arrived was truly incredible. 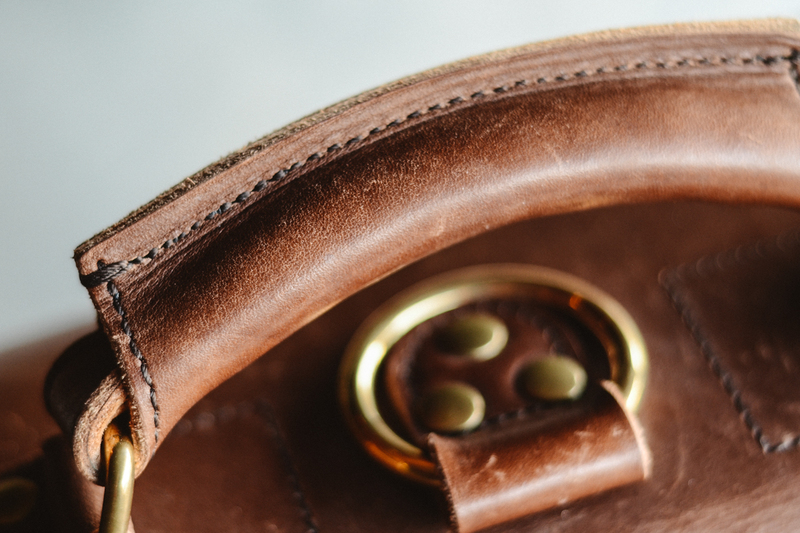 As a lover of leather products, you can’t help but smile when you smell that faint aroma of new leather. 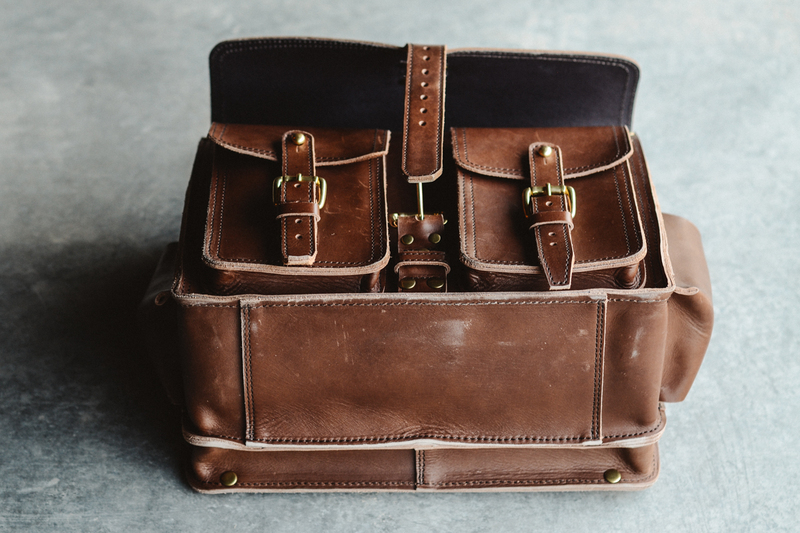 The bag was carefully packaged for shipping and came with an adjustable shoulder strap, two comfy shoulder pads in case you want to wear it backpack style, and a tin of leather conditioner. 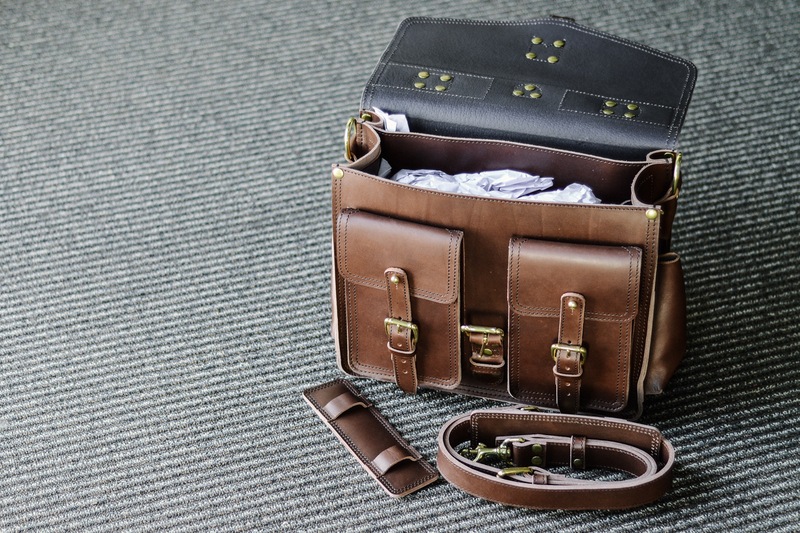 The Wing Briefcase model has a large open interior section (something I really wanted so I could bring my Nikon with my anywhere), two small interior pockets, two pen slots, a full dedicated laptop section, exterior back panel, and two sets of side and back pockets. The bag is stunning; I won’t touch on too much here but will let a few pics do the talking. 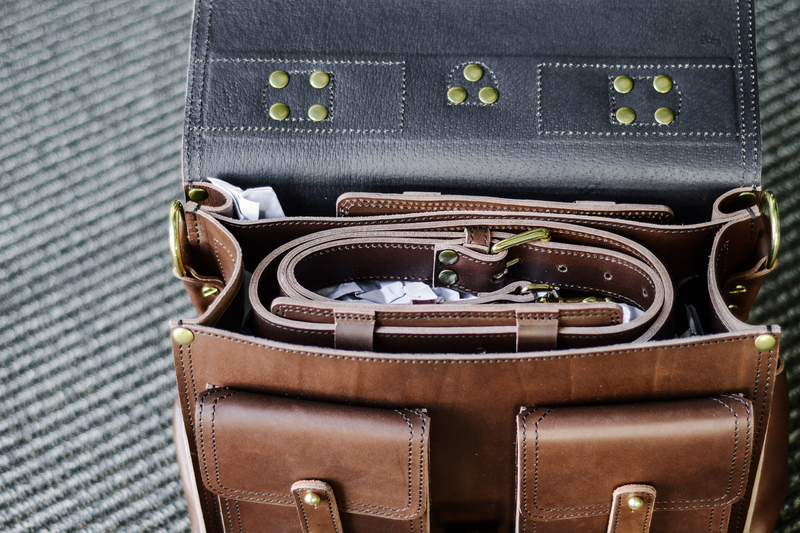 This particular version of the bag is full grain vegetable tan, in their dark brown color. I did notice that it is a bit lighter than the picture online, so I would categorize this as more of a medium brown shade. This worked out well for me as I actually prefer the lighter color because it will allow more natural patina to show as the bag ages. So far in my six months using this bag, it has shown very little wear and tear other than some very small scuffs. The leather is breaking in well and softening at wear points like the closure and laptop slot; the latter of which was quite tight at first for my 13” Mac Air (my bag is the 14” version thanks to Tim from Marlondo’s advice on what would fit my laptop best). 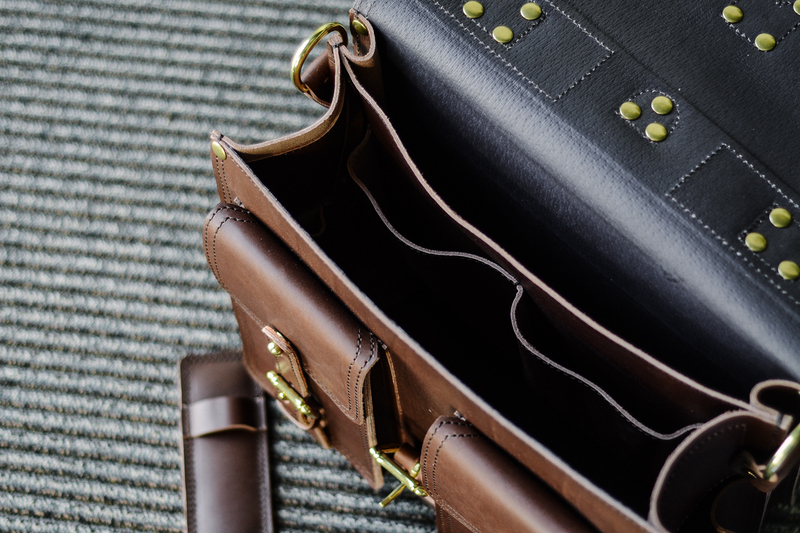 There are a few spots where the leather is kind of a loose grain but they have done a wonderful job to keep those pieces in fairly inconspicuous sections of the bag like the bottom or side panels. So far I am quite pleased with the leather, it is sturdy and a beautiful color that will last a lifetime with the right care. I have yet to treat the leather with anything as it does not require it yet, but when the time comes I will try out the leather cream Marlondo provided. I can’t imagine this bag ever needing more maintenance than just some occasional conditioning. I am no expert on bag construction (only Lego – thanks to my 4 year old son), but under careful inspection this bag looks very well made. It is machine stitched with what Marlondo indicates is “thick industrial strength, marine grade, UV resistant thread”. 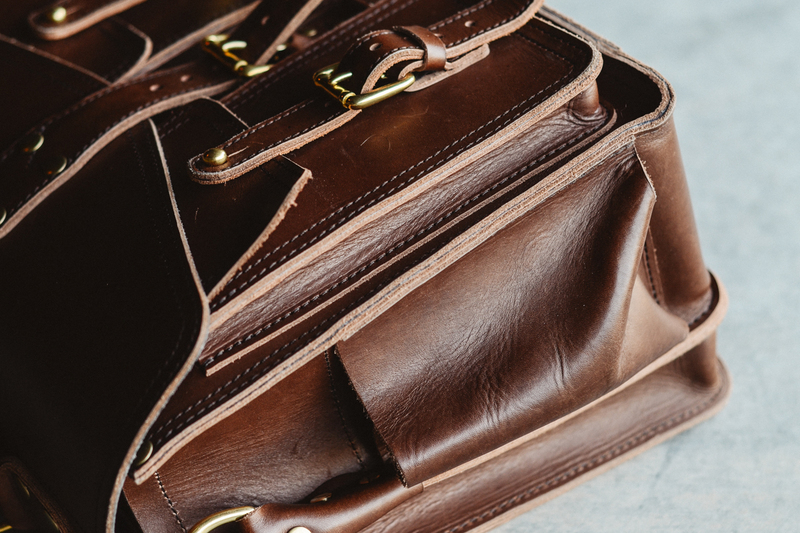 The double row of stitching is very clean and uniform, giving it a rugged yet refined look. There are rivets at all major stress points to help eliminate premature wear on stitching in those areas. 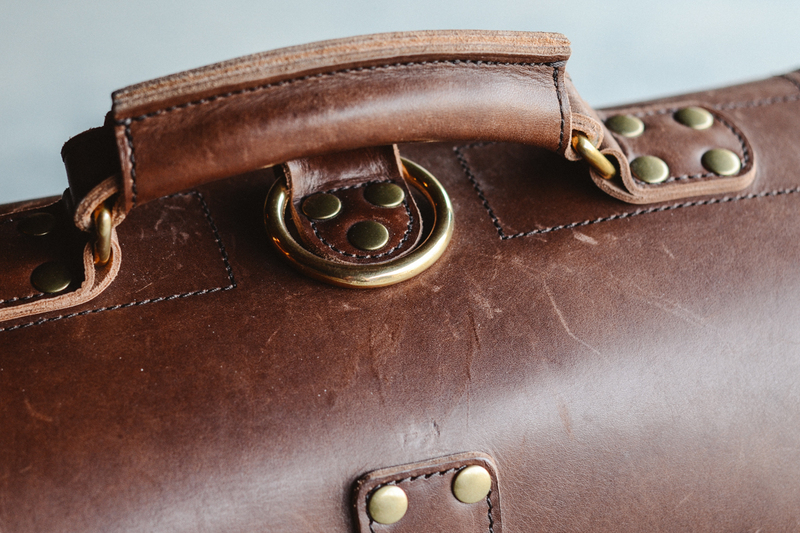 The handle is also held in place by both stitching and 8 rivets, which will ensure that no matter what you stuff in the bag the handle will stay sturdy. 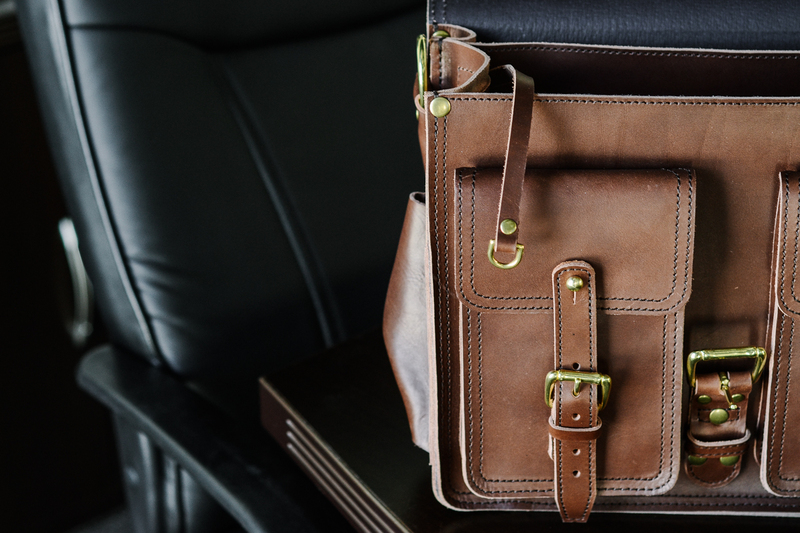 I opt to use the handle only and not the shoulder strap, but the strap itself is also full leather and attaches to brass D-ring spots on the bag ensuring long term durability. The interior of the front and back panel are pigskin lined; and while this looks great, the rest of the bag is not lined, so for me it feels a bit unfinished. I would have liked to see at least the laptop section panel lined, or better yet the entire bag lined, including the exterior pockets. 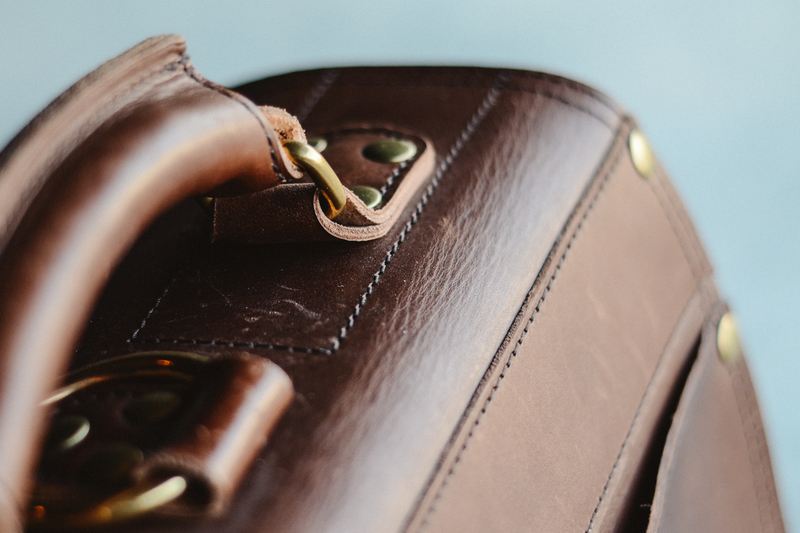 I wanted to touch quickly on what I carry in my bag on a day to day basis to give a better understanding of the functionality of the Wing Briefcase. To be honest I still have 2 pockets on the exterior that go unused; all in all, there is plenty of room in this bag.